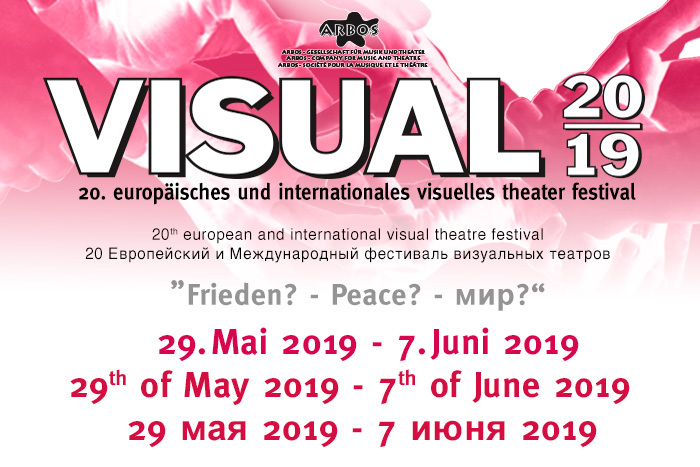 The 20th European and International Visual Theatre takes place in 2019 from wednesday 29th of May to 7th of June at the theatre SPIELRAUM in Vienna and the Austrian provinces Carinthia, Lower Austria and Tyrol. Ramesh Meyyappan (Singapore/Scotland), Jolanta Znotina and Liva Kolmane (Latvia), Rupert Bergmann, Rita Hatzmann, Werner Mössler, Markus Pol und Markus Rupert and Christoph Traxler (Austria) and deaf, deafblind and hearing young people from Russia and Austria will play in all 16 performances. The centre of the performances, exhibitions and workshops in Vienna is the theatre SPIELRAUM in the Kaiserstraße 46 in the 7th quarter of Vienna, reachable with the tramline nr. 5, stop Kaiserstraße/Westbahnstraße.